A book about losing your place, finding your purpose, and immersing yourself in what holds community, and humanity, together - books. If you're a bibliophile you most likely thought about it yourself. Your very own bookstore. 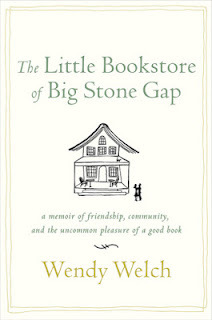 In The Little Bookstore Of Big Stone Gap Wendy Welch and her husband make that dream come true. In a spur of the moment decision they buy an old Edwardian home to open their own used bookstore. Of course it's a long way from a dream to a working business, especially if you have no business plan. 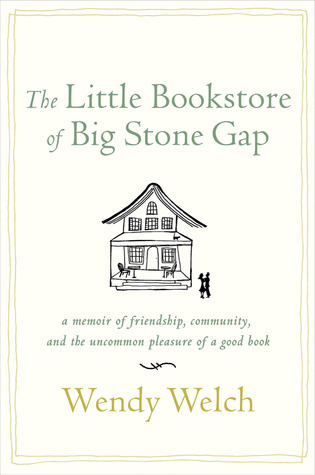 This is a quaint and wholesome story about a small town bookstore and its people. Putting their hearts, as much as part of their personal library onto those empty shelves, this venture proved to be a real page turner for me. Yet I'll be the first to admit that you should love books, otherwise this book might not captivate you as much as it pulled me in. Both warmhearted and fun Wendy sure managed to put a smile on my face from the first page on. Not only can you feel the love for books between the lines, she is also a wonderful writer, not just bringing her experiences and observations to paper, but making them come alive in the reader's mind. I could literally see myself browsing those shelves, catching glimpses of the cats (and dogs) of the house, and mingling with the regulars. I'm in love with this place already! Too bad the book doesn't include pictures of the shop which would have really rounded off the picture. In short: A bookishly charming memoir!